Media piracy: A major threat for Sport and Live programming? Despite the growing number of technical and legal measures being put into place, we continue to see more and more media piracy around the globe. The most popular content remains films, TV series and music, with an especially strong rise in the illegal distribution of sporting events. 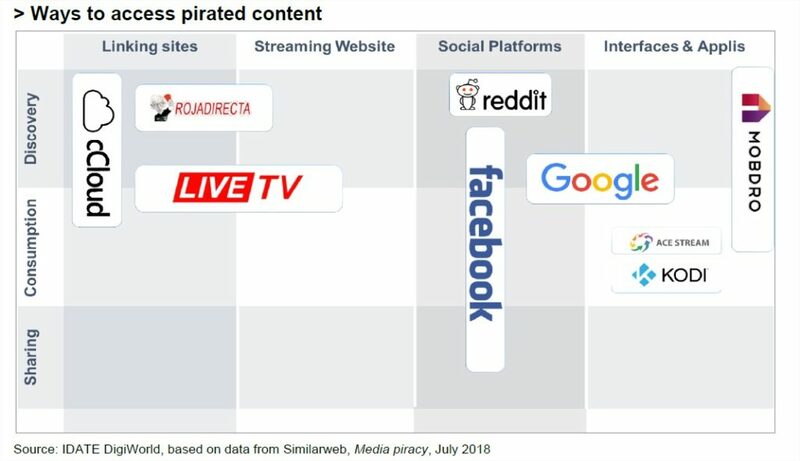 Several factors have enabled piracy practices and methods to flourish, not least the increasing use of streaming, the development of app systems, the more “professional” structure of illegal services and the use of social media platforms as relays. What are the new challenges ? battleground, and having a substantial economic impact on the industry. Losses for rights owners and the potential impact on TV subscription revenue are both substantial. In addition to the impact of P2P sites, large scale piracy services have become increasingly professional and now have a profitable business model. Can we really eradicate this phenomenon? Closing down websites and taking legal action against pirates produces temporary results but, over time, mirror sites are set up, different piracy systems are used, the hosts change geographical location… Other measures such as technical protection for the content, running awareness campaigns for consumers and collaboration between the ecosystem’s players can help flesh out the mechanisms in place to combat media piracy. It seems vital to set the goal of curbing piracy to prevent it from becoming a mass market phenomenon. Piracy needs to remain relatively difficult to engage in, and deliver a much less attractive product than lawful services. The way that people consume video is changing, but screen time continues to rise and monetisation capabilities are still very strong. For operators (i.e. cable companies and telcos), depending on their situation, services can enable to them to generate additional ARPU, secure customer loyalty, and attract new subscribers as they compete for superfast access market share. So no operator today can afford not to have a TV/video strategy.